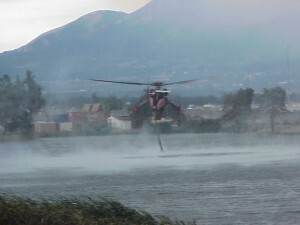 This video from the Grand Prix Fire shows how firefighting helicopters can refill their water tanks from the local water supply. 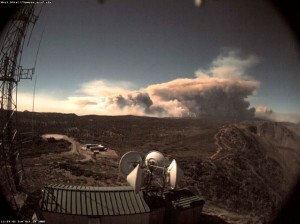 This still camera caught a dramatic time lapse of the Cedar Fire burning across Mt. Laguna.